With its famous castle, spruced-up quays, impressive arts scene and formidable sporting pedigree, Limerick is relishing its renaissance. There’s plenty for visitors here: this is our guide to the top ten things to do on a first-time visit to the Treaty City. Limerick’s history has not always been sunny: three and a half centuries ago it was besieged by Cromwellian forces and in the early 2000s a wave of organised crime crippled the city’s reputation. But it’s always been a safe city for visitors and a whopping €1 billion investment strategy has smartened up sights including King John’s Castle and the riverside quays. Thomond Park Stadium is a massive shrine to the local fixation with rugby, and the city’s recent inclusion as an estuary spur route from the Wild Atlantic Way is blowing fresh air along its narrow medieval lanes and neat Georgian avenues. This may be Ireland’s third largest city, but the centre is walkable and just 20 minutes' drive from Shannon Airport. A 3km amble through Limerick’s Medieval Quarter delivers a rapid rundown of Ireland’s history from the 12th century until the Flight of the Wild Geese in 1691. The ‘wild geese’ were the Irish Jacobite army who were defeated at the hands of William III, effectively ending James II’s chance of reclaiming the British crown. They signed a treaty to protect Catholics from penal laws before flocking off into self-exile, but it secured little more than Limerick’s nickname. King John’s Castle (named after the king of Magna Carta fame) is the highlight of the marked route around English Town. Having dominated the city’s shoreline for over 800 years, it’s fresh from a €6m facelift and is brim-full of interactive gadgetry and sword-fighting shenanigans. The turreted limestone belfry at Saint Mary’s Cathedral has called worshippers from the city and surrounding countryside to mass with the peel of its eight harmonious bells since the 15th century. The church is crammed full of idiosyncratic features including a leper’s peephole, carved misericords, royal tombs and a 4m altar that was once nabbed by Oliver Cromwell’s men. 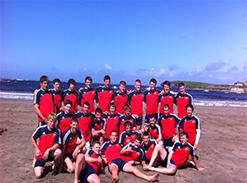 A 10-minute walk from the city centre is Thomond Park Stadium, Munster Rugby’s home ground. Knowing that it’s the site where the team pummelled New Zealand 12-0 in 1978 will get you brownie points at any pub in the city. After a hefty investment, the stadium now rises over Limerick’s skyline like a concrete alien monster-craft and it’s the city’s greatest feat of architecture since King John built his castle 800 years ago. Visitors can take a tour of the dressing room, through the tunnel and right onto the pitch. In keeping with the native rugby fixation, a local tycoon has secured a space on O’Connell St to develop the country’s largest rugby museum – it will open in September 2019. The addition of an all-weather two-storey marquee aside, Limerick’s Milk Market remains largely unchanged since it was established in 1852. Saturdays are a great day to visit: farmers set up their stalls before the 8am opening time with their harvest from the Golden Vale, County Limerick’s rolling agricultural heartland. 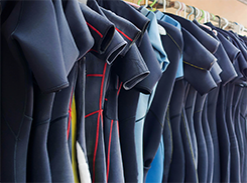 It’s also the best day to catch a festival or meander through the stalls outside the market selling kitschy home wear, vintage clothing and dubious antiques. If the crêperies and food stalls at the market aren’t enough, leg it around the corner to Quigleys (quigleys.ie) or O’Connors (oconnorsbakery.com) on Cruises St for fresh pastries. Behind the vernacular façade and homely interior of Nancy Blake’s pub, just outside the market’s Denmark St entrance, is the Outback, the city’s best party spot for later in the evening. Frank McCourt’s Pulitzer-Prize-winning memoir Angela’s Ashesmeanders through the streets, lanes and tenements of Limerick’s Georgian grid. The author’s school has been turned into the Frank McCourt Museum, while the Carnegie Library of McCourt’s youth is now the Limerick City Gallery of Art and the entrance to the city’s manicured People’s Park. A selection of townhouses on Upper Catherine St and Mallow St veer more towards shabby than chic with their dust-covered fanlights, but the area remains one of the finest examples of Georgian town planning in Ireland. Near the oval-shaped island on the main artery, O’Connell Ave, is South’s Pub, where McCourt’s father was a parched regular. The lavatory doors have a nod back to McCourt’s time with gender signs that read ‘Frank’ and ‘Angela’. 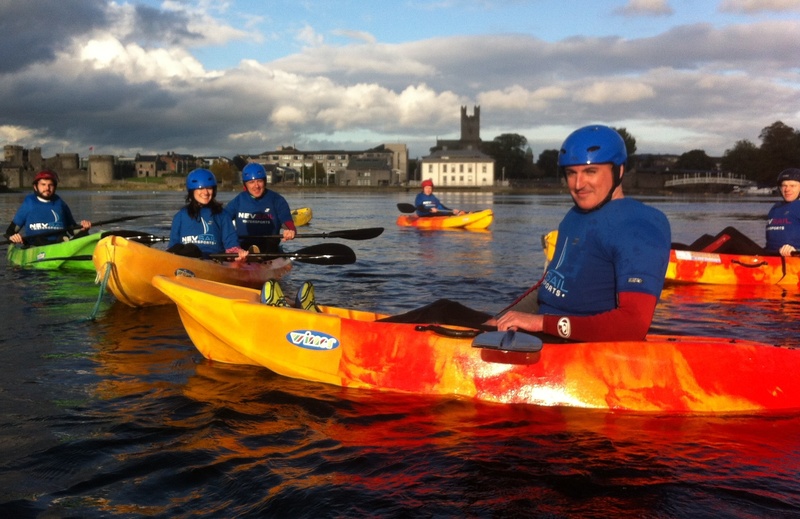 Nevsail Watersports (nevsailwatersports.ie) offers a fresh angle on Limerick’s past, from the River Shannon. 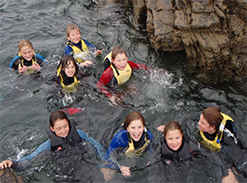 Once everyone is adequately buoyant, paddles hit the water at the Hunt Museum and glide past the Treaty Stone, Thomond Bridge and King John’s Castle. The tour highlights the river’s role in the city’s countless invasions. Other tours take in a wider stretch of what is Ireland’s longest river. La Cucina (lacucina.ie), the latest addition to the city’s centre’s dining scene, reflects Limerick’s insatiable appetite for Italian dining ever since migrants trickled in to open eateries from the late 19th century through World War II. Family-run restaurants are located in the Newtown Pery area in the city’s central Georgian grid, itself designed by Italian architect Davis Ducart. Bella Italia, Tuscany, Papa Ginos and La Piccola Italia bring a fusion of traditional recipes and local ingredients: boscaiola might arrive with pork sourced from an artisan butchers by the Milk Market. Across from Colbert Train Station, Luigi’s humble fish and chips shop was a favourite of actor Richard Harris back in the day. The Locke Bar (lockebar.com) across from the Hunt Museum has the best craft beer from Dingle to Belfast on tap, including Limerick’s very own Treaty City pale ale. Set on a canal-side boulevard with light-leafed trees on the fringes of Limerick’s medieval quarter, it also has an open kitchen with a guaranteed trad music session from 9pm every night. The staple micro-beer is the Locke Stout, so lovers of the black stuff can try out something new. Arguably Ireland’s prettiest village, Adare is a half-hour bus (M7 Express) ride from the city centre. The Adare Manor resort and hotel is in the throes of becoming Ireland’s swankiest property and has ambitions to bring the Ryder Cup to Limerick by 2026. In the meantime, enjoy this thatched cottage village that would sit just as comfortably in the Cotswolds. Bunratty Castle and Folk Park is just 15 minutes from the city centre via a frequent bus service (the M7 Express), and the famous Gregorian chanting monks of Glenstal Abbey (glenstal.org) are half an hour away by cab for evening vespers. The city that nurtured Oscar contenders Richard Harris and Ruth Negga and BBC broadcaster Terry Wogan has a natural affinity with the performing arts. The freshly opened Lime Tree Theatre (limetreetheatre.ie) hosts home-grown theatrical talent and travelling shows. Dolan’s Warehouse (dolans.ie) is an intimate venue which showcases anything from stand-up comedy to Celtic rock and the occasional gospel choir. The University Concert Hall (uch.ie) has a classical bent. 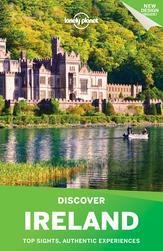 Discover Ireland is our collection of the countrys top sights and most authentic experiences. The city centre is connected to its university on a canal-hugging pathway that was completed in October 2016 and is great for an afternoon ramble. The University of Limerick is equipped with an Olympic-sized swimming pool and the curvy ‘living bridge,’ Ireland’s longest pedestrianised bridge - it connects County Limerick with neighbouring County Clare over a series of small islands. The surrounding suburb of Castletroy is a city within a city, with a cinema, shopping centre and restaurants, while the recent opening of Troy Film Studios is a further endorsement of the city’s performing prowess.